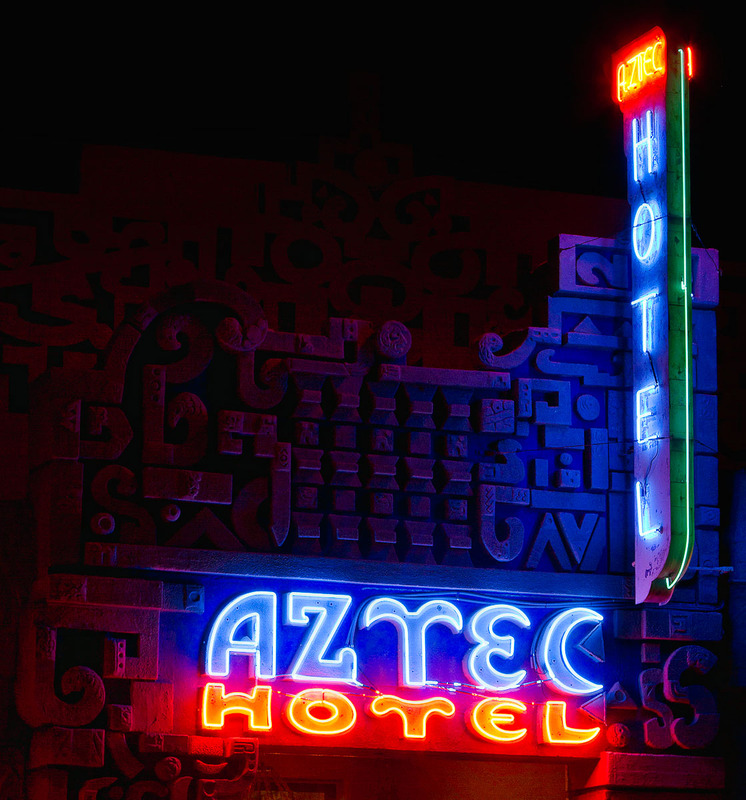 If you haven't had the chance to see the Aztec Hotel in person, you might not realize the detail that's all over this historic building. Look close at the above photo (or click for a larger version) and you can see not just the patterns but the figures, creatures and symbols readily visible after all these years. Hopefully the Aztec will get the care it needs and find its best days are yet to come. Love the neon lighting in this photo. This old hotel is a great subject. I agree with your hope that it gets the care it deserves! I really like this photo- a great atmosphere.